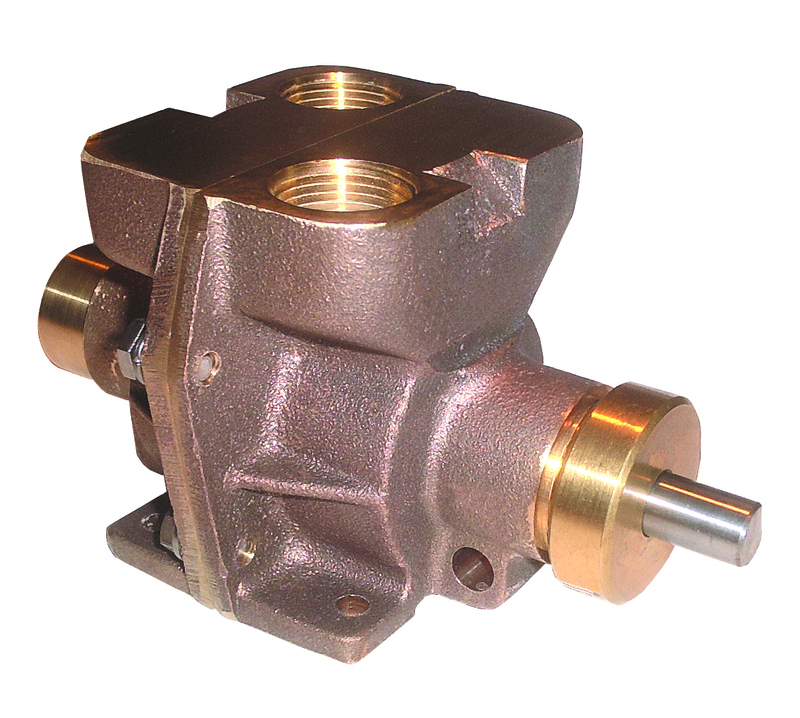 Made in the USA, P-9000 has an improved pump design with screw-on seal end cap enclosing a dual seal. The pump is two-stage, self-priming and positive displacement. Construction is lead-free bronze, stainless steel and Teflon for compliance with the NSF-61 low-lead standard.for potable water systems, or for any non-flammable and non-explosive fluid with low solids content. (Use a GROCO WSB series strainer if solids are likely to be encountered in the fluid being pumped). External drive is required (1750 RPM max) either direct or with pulley and belt.